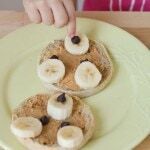 This Holiday English Muffin Breakfast is great for your kids to have fun with their food during the holidays and it’s even great for holiday parties! 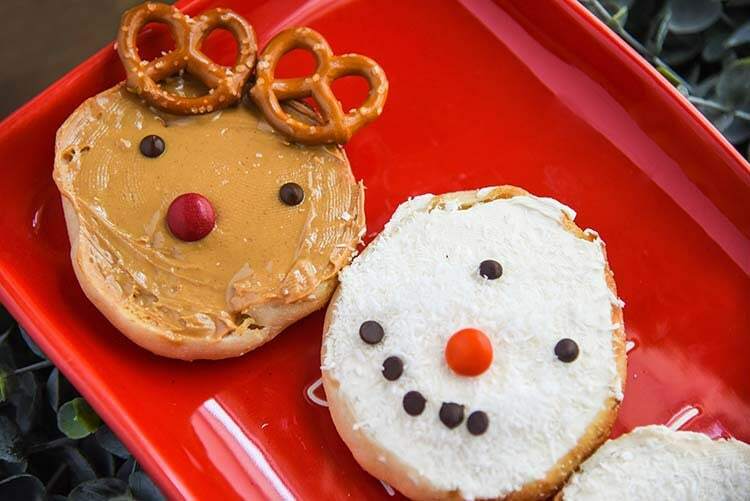 I put all of the ingredients into little ramekins and let the kids go to town making their Reindeer and Snowmen. 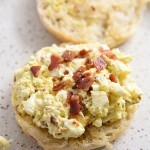 Special thanks to Bays English Muffins for sponsoring this recipe. Tis the season to eat and be merry! It’s also the season where we’re completely overwhelmed, busy with holiday and life tasks, and we need to remember the little things and make beautiful memories. In our home breakfast is one of the most important meals, it’s also one of the meals I ensure that we eat together as a family, not just dinner. 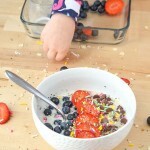 My daughter loves to play with her food and I highly encourage playing with your food. We especially love playing with our food during the holidays. 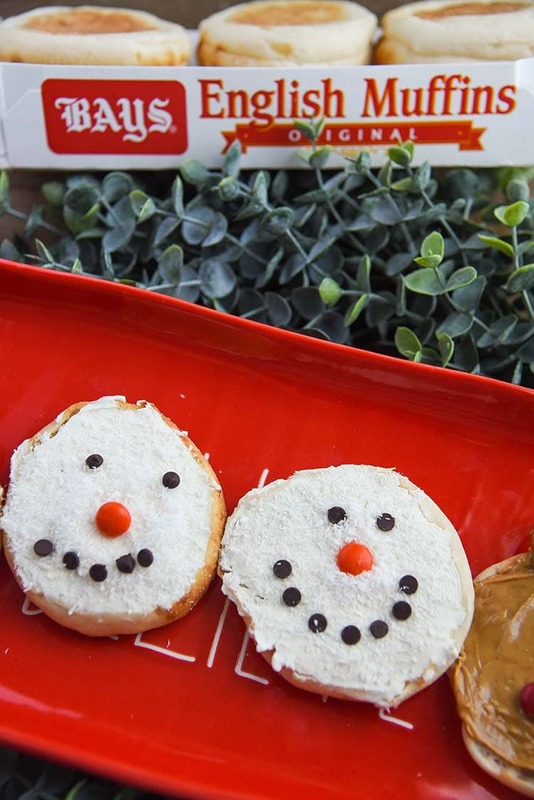 Our favorite fun Holiday Breakfast is turning our Bays English Muffin Breakfast into Snowman English Muffins and Reindeer English Muffins! 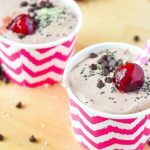 It’s so simple for kids to do and you only need a few ingredients. 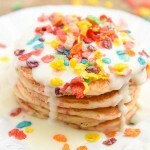 If you want the Snowman English Muffin Breakfast to be a dessert you can easily make a cream cheese frosting instead of using plain cream cheese. 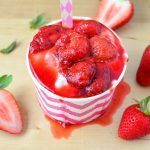 This Holiday English Muffin Breakfast is great for your kids to have fun with their food during the holidays and it's even great for holiday parties! 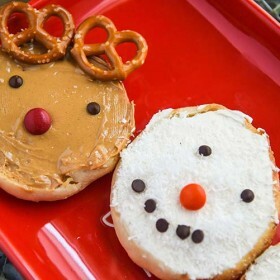 I put all of the ingredients into little ramekins and let the kids go to town making their Reindeer and Snowmen. In a toaster oven slightly toast the English Muffins. 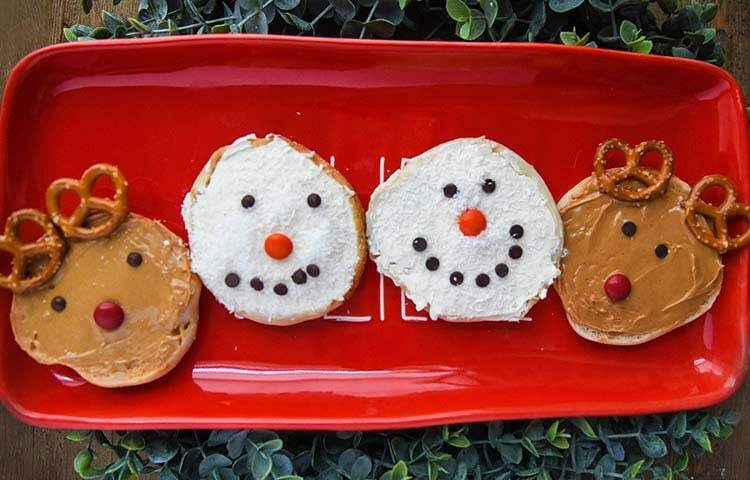 Once the muffins are toasted spread on your desired topping, Peanut Butter for Reindeer and Cream Cheese for Snowman. 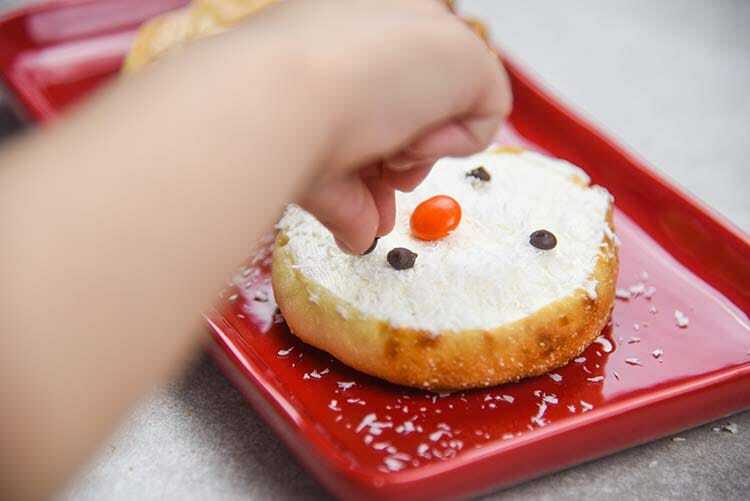 Sprinkle the Snowman with Coconut, make a smile and eyes with mini chocolate chips, and use orange candy for nose. For Reindeer use the pretzels for antlers, red candy for nose, and mini chocolate chips for eyes.